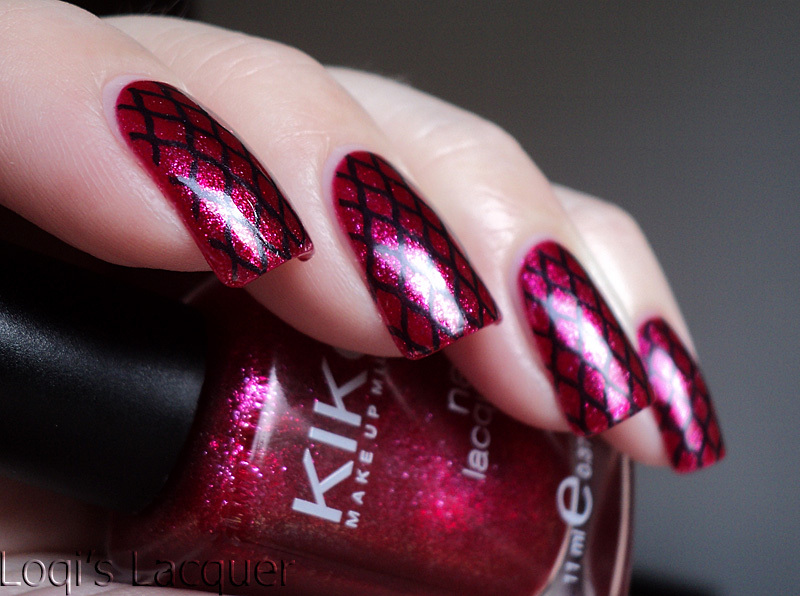 This week I am showing you one of my new Kiko polishes. 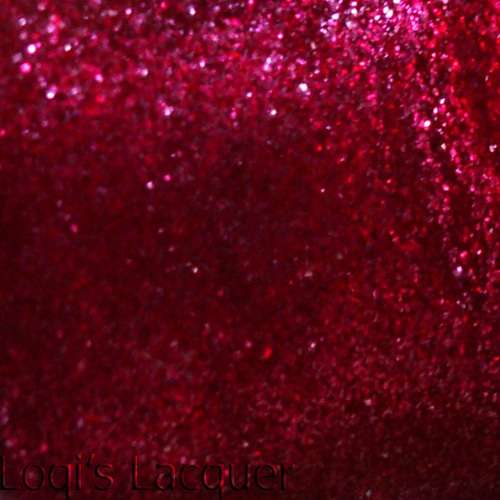 This is number 277 Blueberry glitter, and isn't it gorgeous? This polish is so insanely sparkly that it kept distracting me by glittering in the corners of my eyes all day. 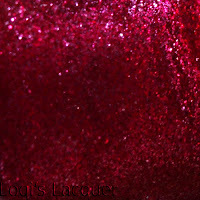 Contrary to the name and sparkle though, this is not a glitter but an almost foil like shimmer or glass fleck polish. Shown here is 3 thin coats stamped with Bundle monster plate 209. Hope you like it and see you next week! Being a self proclaimed magenta queen - this shade is major great. I love a glass flecked metallic kind of finish. I don't know this brand at all other than off a few blogs now. Very pretty polish and I love the black pattern on it. Perfect! 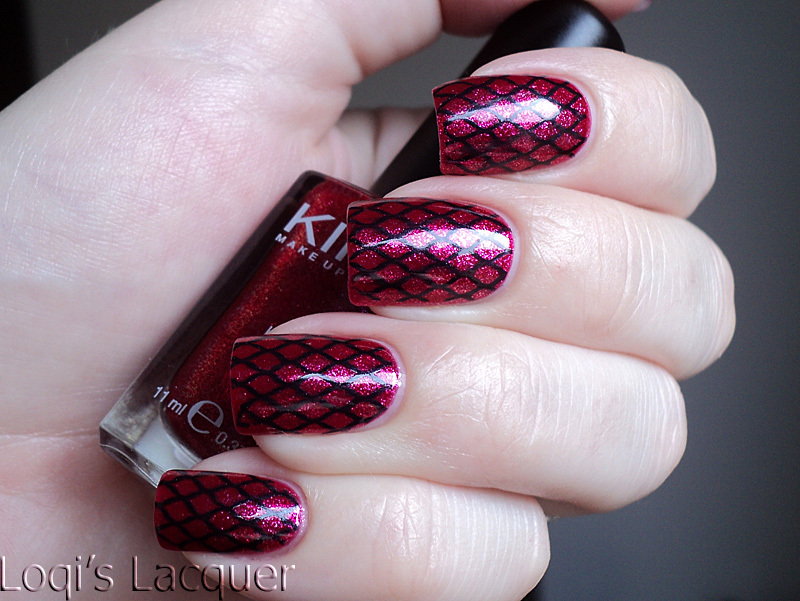 A gorgeous red with glitter + black stamp = LOVE! 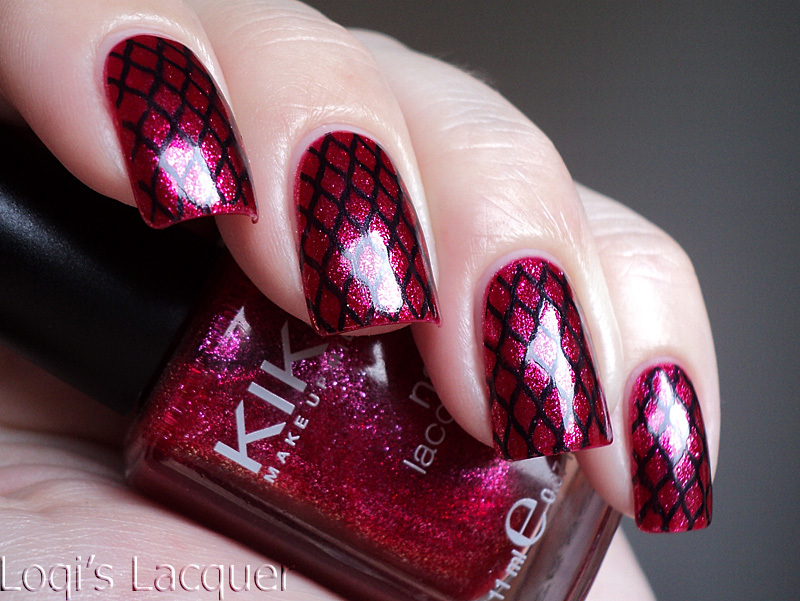 I really adore this mani! this is perfect - love your color choices too! Ohhhhhh <3 I own it and, besides Kiko 300, it is one of my beloved polishes from this brand! I bought it almost a year ago and I use it carefully, just to avoid the risk to run out of it!! !